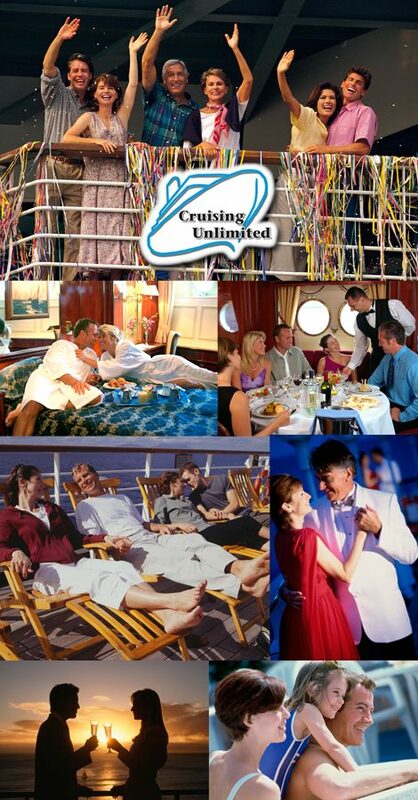 You go on a cruise to relax, have fun and get away from the stresses and pressures of every day life. The last thing you want is to get sick on the holiday or return home feeling just as exhausted as before you left. You can stay healthy during your cruise and return fit and invigorated by paying attention to the following guidelines. No! I don’t mean a regimen of heavy duty routines. But it is all to easy to be too sedentary when on a cruise. Your body needs movement and stimulated circulation. Keeping the body limber and promoting good circulation while on a cruise is easier than you imagine. All major cruise ships now have fitness centers. A short cardio workout daily can do wonders for perking up your whole system. The best times to go are during off-peak hours (early mornings, early evenings & late nights) that will usually result in having the entire gym to yourself. If visiting the gym is simply not going to happen, consider the best alternative: walking or jogging around the open deck of the ship. Every ship has a track that goes around the entire ship on one of the open decks. The best times to utilize the ‘track’ are at sunrise and sunset. Try to do at least 3-5 laps every single day for best results. Use the stairs in stead of the elevator whenever you can. This is an excellent way to inject several short, yet very effective, workouts into your daily routine. Fresh Air & Natural Light. Enjoy fresh air and a healthy ocean breeze. Make sure you spend at least 2 hours daily outside in order to ensure you receive a healthy amount of fresh air and natural light. Inside the ship, your body is forced to adjust to artificial light. The air inside of a ship is air-conditioned, circulated through miles of ducts, before it comes out of the vents, picking up dust and germs during its journey. Keep in mind that the air you breathe while at sea is the cleanest and healthiest air on the planet. Eating is a major part of taking a cruise, but that doesn’t mean you can’t eat healthy. Before you line up at the ‘Midnight Pasta Extravaganza’ or ‘2am Cake Feast’, take a moment to consider whether or not you really need that extra food. Consider ordering some of the vegetarian items on the menu every now and then. Every ship offers a selection of simple dishes (i.e. grilled chicken breast, salads, steamed vegetables, etc.) that that can be ordered at any time, even though they are not listed on the main menu. The more water you drink, the healthier your system will be. Water is the best method to flush out your system. By drinking up to 8 glasses per day, you will ensure that your body doesn’t get dehydrated due to the dry air and aids in limiting the effects of alcohol intake. Washing your hands frequently is the absolute best way to prevent yourself from getting sick during your cruise. You should wash your hands before and after eating, after using the restroom, before and after going ashore and any other time that you happen to be near a sink and soap. Cruise lines have installed hand sanitizers all over the ships. Use them whenever possible, although they should always be used as an additional layer of protection after washing your hands. If the seas become rough and you start to feel a little ill, don’t automatically run down to the medical center to get an injection. Head onto an open deck area that is near the middle of the ship and stare off into the distance. Use the horizon as your point of focus. Be sure to concentrate on anything other than the moving ship. Take continuous deep breaths and drink plenty of water. Eat a small amount of food if you can, but stay away from fatty snacks. For those people who are prone to seasickness, consider purchasing an acupressure wrist band or herbal remedy such as ginger tablets before boarding your ship. Consult with your physician prior to the cruise and get a prescription of Transdermal Scopolamine. Use the patches as prescribed. When you leave for vacation, the idea of exercise and constantly examining everything you do are going to be the farthest from your mind. However, if you’re able to implement the above suggestions, you will stay healthy and fit during your vacation and come home refreshed.